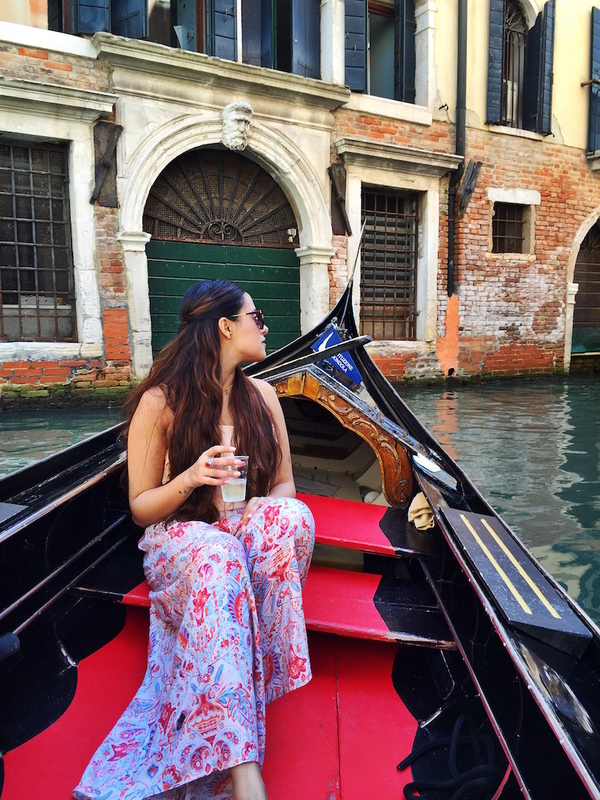 We’ve all heard so much about Venice, seen so much of it in movies, on bucket lists and in glossy magazines. 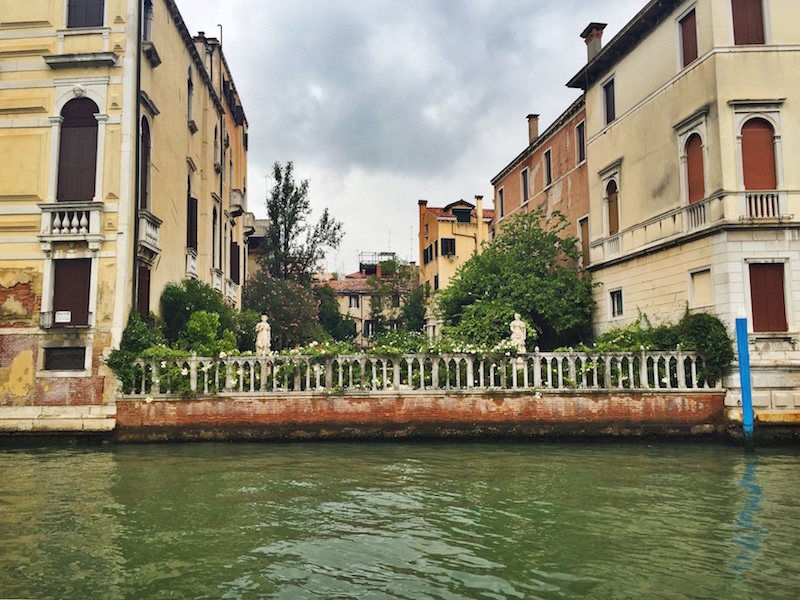 We’ve heard about the history, the romantic canals, and the fact that the city is slowly sinking. It still doesn’t compare to seeing it in person. The unique charm of this waterlogged city is apparent from first sight, and it plays hosts to a staggering 20 million tourists each year, with numbers increasing all the time. There’s not much that can compare to your first water taxi or vaporetto down the Grand Canal as it snakes through the centre of Venice, all the sparkly lights dancing upon the water, restaurants and shops twinkling on either side, no cars or motorbikes in sight, just boats of all shaped and sizes cruising down the canals. This was a town all about the history and we were ready to be immersed. 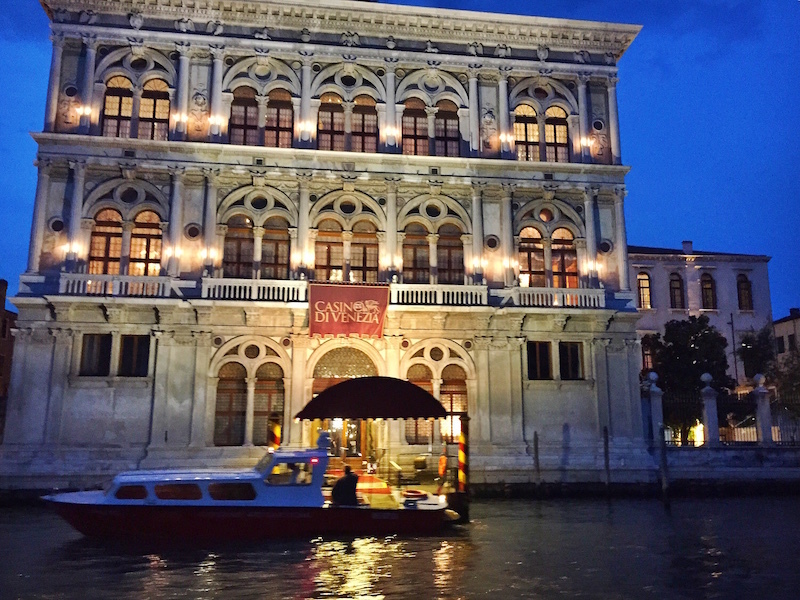 Breathtaking Venetian architecture at this at the Casino de Venezia. 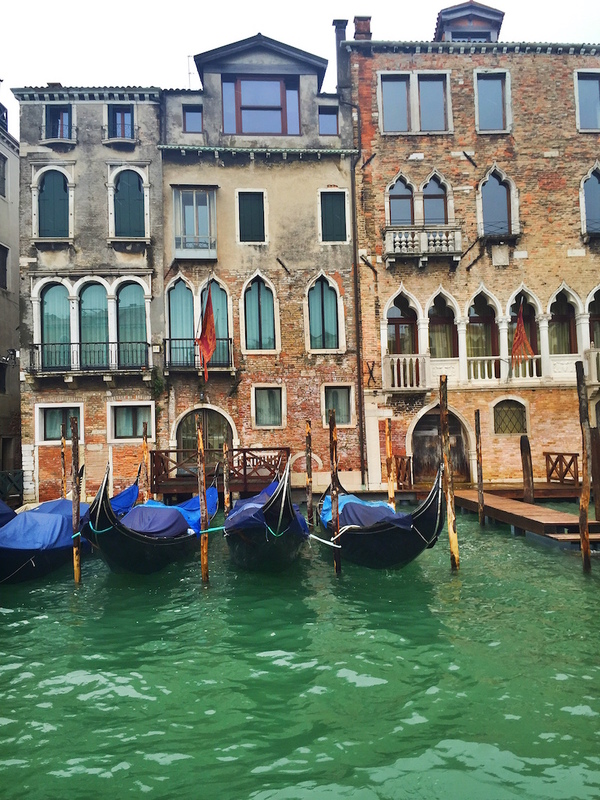 Venice was supposedly founded around 400 AD, although there are no surviving historical records that state this. Still, most historians agree that there are enough facts pointing towards that time frame. The marshy lagoon made of 117 islands was initially a refuge for people fleeing various Roman cities facing Germanic and Hun invasions and has had a tumultuous, violence filled history of its own. 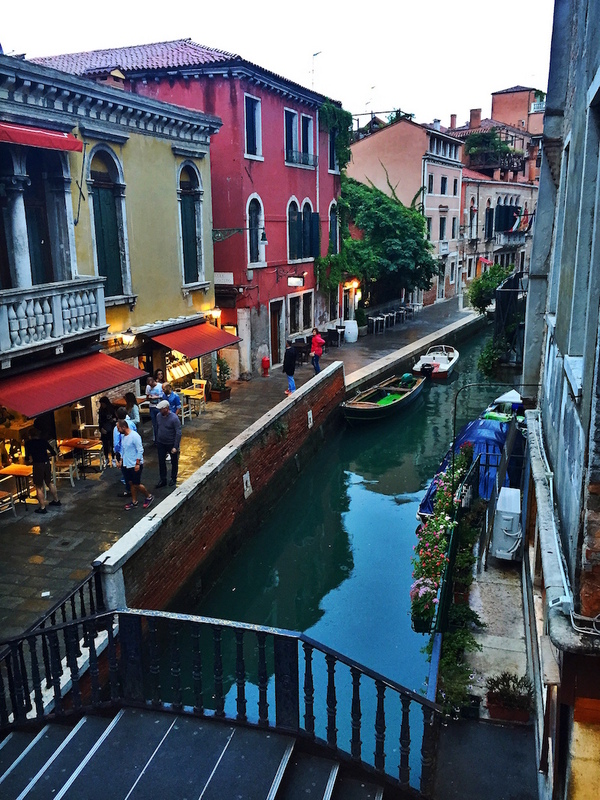 By the late 13th century Venice was the richest city in all of Europe. 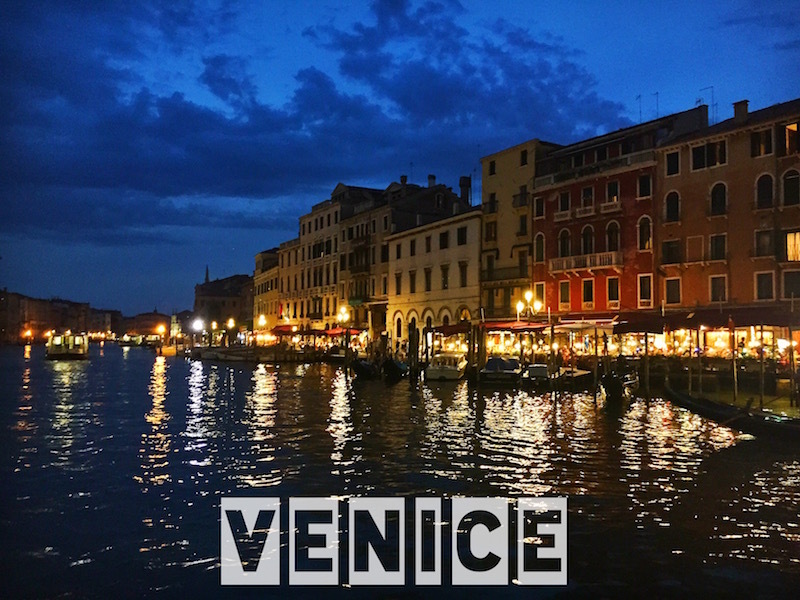 It served as a port town and was home to traders and businessmen from all over who made a killing because of Venice’s strategic location and naval protection. They traded extensively with the Byzantine Empire and the Muslim empires in the East. 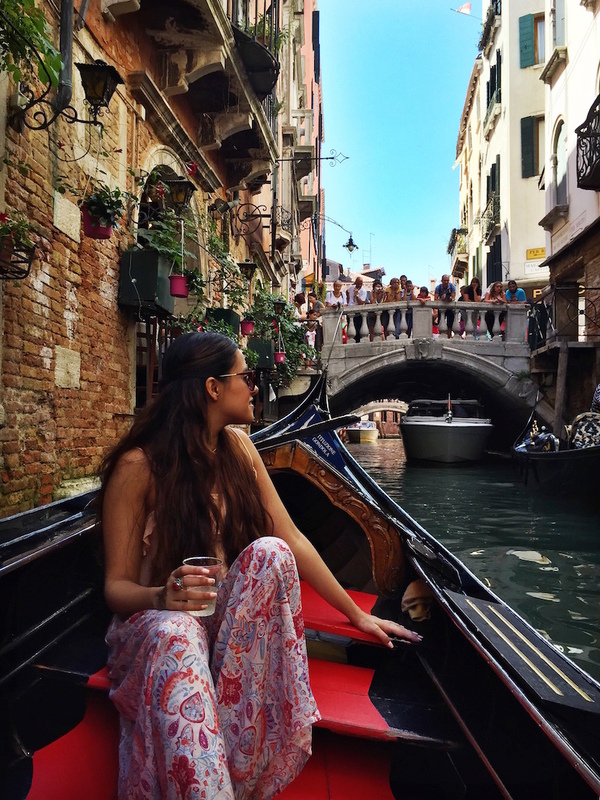 The architecture of Venice reflects the glamour, wealth and expensive taste of days gone by and has a name for itself; Venetian Gothic, which blends Moorish and Byzantine styles to form its own distinct appeal. The architecture focused on making the structures lighter in weight since they rested on marsh land, and hence used many large windows supported by traceries or stonework patterns that supported intricate glass panels in Gothic style windows. In the Venetian Gothic style however, traceries supported not just the windows but the weight of entire buildings, making them far lighter and suited to the terrain. It was fascinating to see entire properties and blocks seemingly abandoned, something termed as elegant decay, the grandiose structures slowly giving way to time and tide (the saltwater canals have a reputation for wreaking havoc upon old buildings, seeping into the foundation and the stone and making them structurally weak unless they are systematically taken care of), juxtaposed with flashy restaurants, hotels and casinos that seemed in perfect working condition. 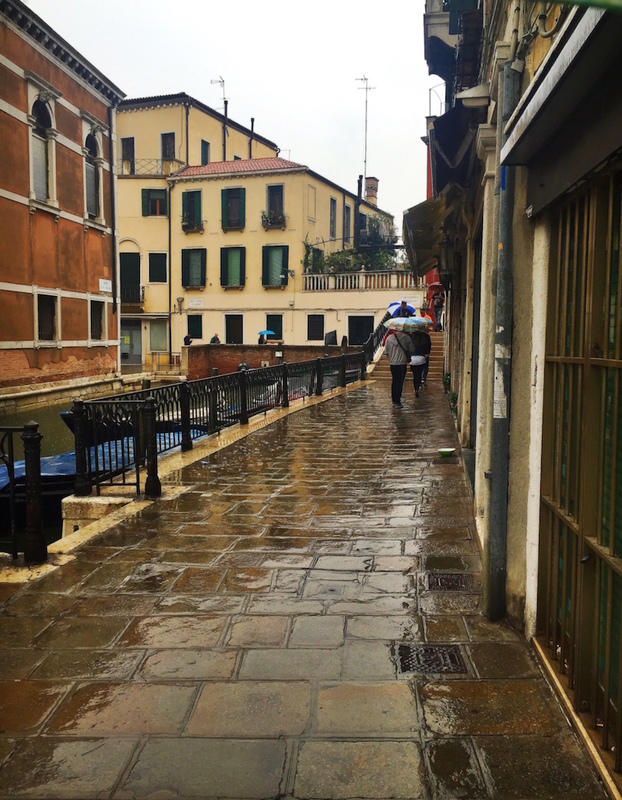 This is a walking city, so while you can take the vaporetto down the Grand Canal if your destination is far, everything is pretty much walking distance if you chose your stay wisely since Venice is not a very large town. 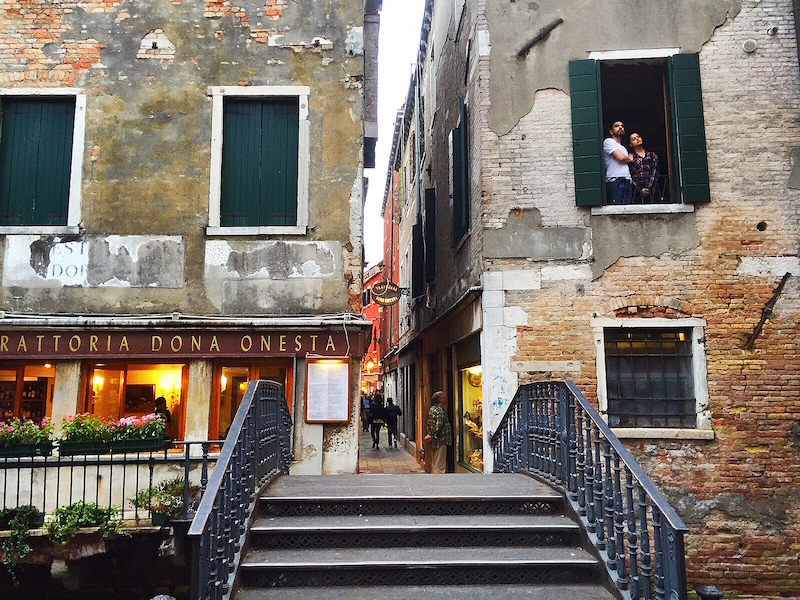 The alleyways and canals crisscross at every turn with over 400 bridges connecting the bits of land- making for some truly enjoyable strolls (unhurried & relaxed, the way the Italians do it). You wont find any glitzy new structures here, so as in Lake Como, you are basically seeing the same things people have been seeing for hundreds of years with very little change, unlike other cities that tend to be modern and historic at the same time. 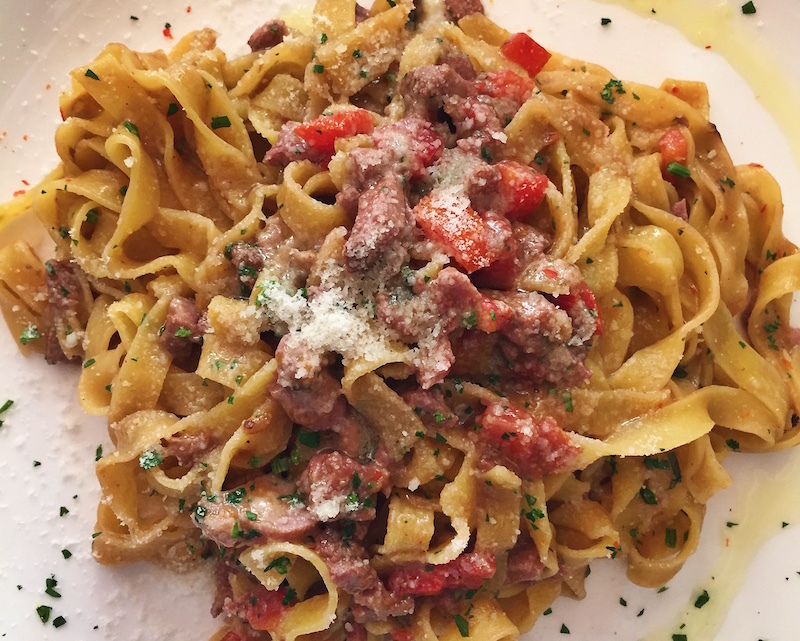 We left from Lake Como in the morning with a pitstop at the town of Verona for lunch, and if you’re driving I’d highly suggest you do this too. 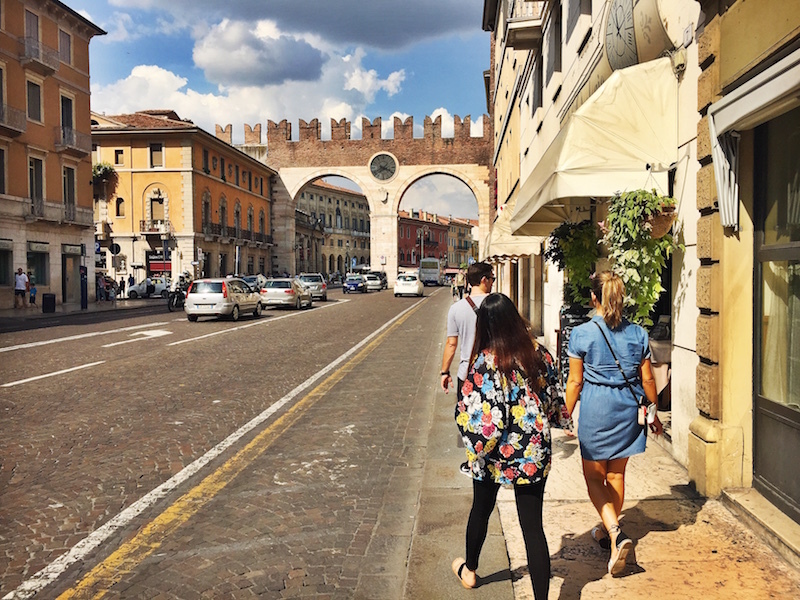 Verona is the town where 3 of Shakespeare’s plays have been set- Romeo & Juliet, The Taming Of The Shrew and The Two Gentlemen Of Verona. 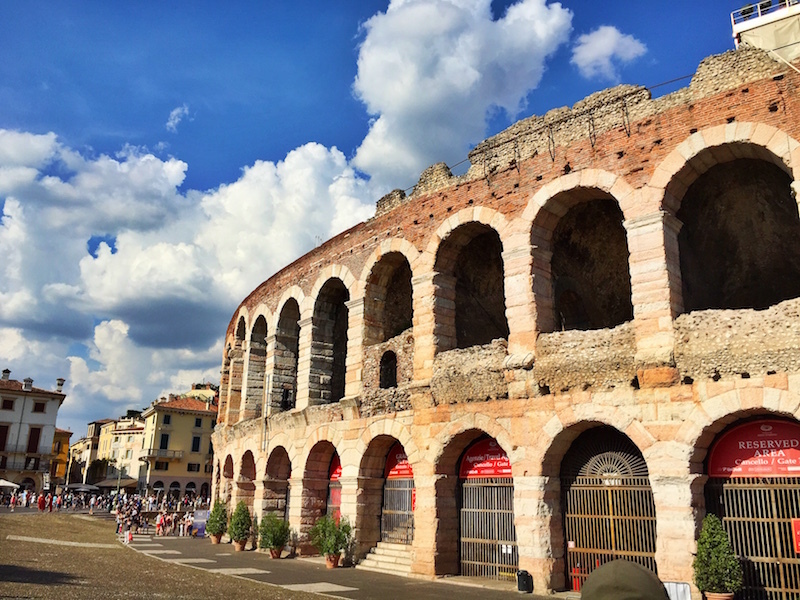 It’s also been given World Heritage Site status by UNESCO for its very old architecture and the mini colosseum like dome set in the centre of town, which is actually older than the colosseum in Rome and dates to 16-18 AD. 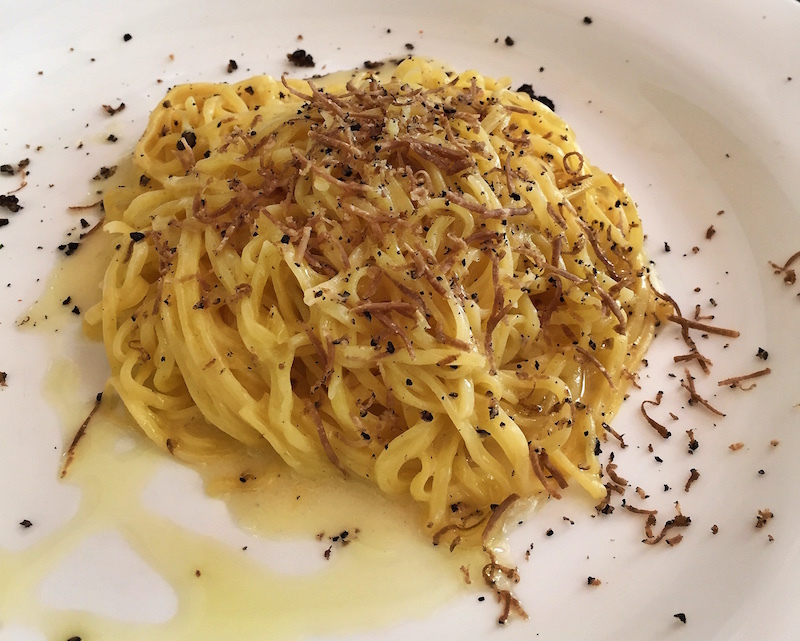 Lunch was at an amazing restaurant called L’Orologio right next to the historical centre of Verona. 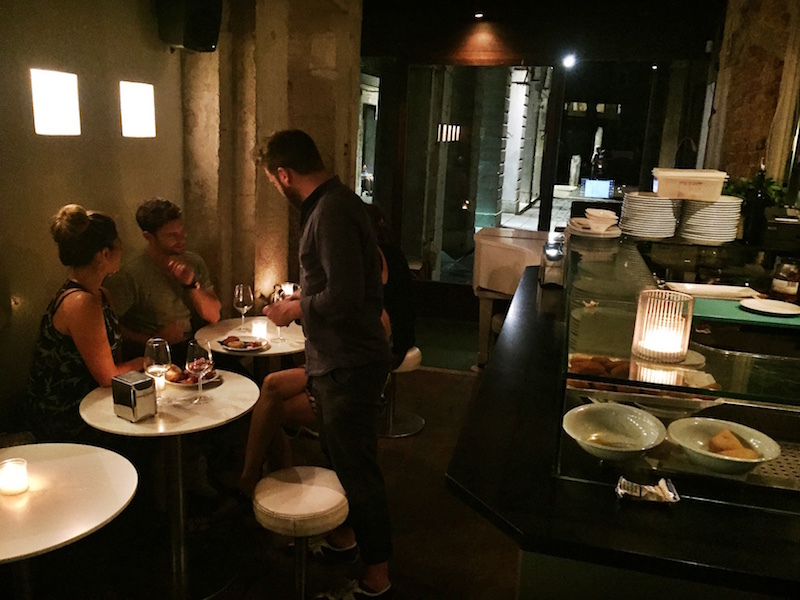 This restaurant is highly recommended, it was one of our best meals and best bottles of wine. The staff was courteous and helpful and we could not expect more from a place that was so close to the tourist trap restaurants around the centre. 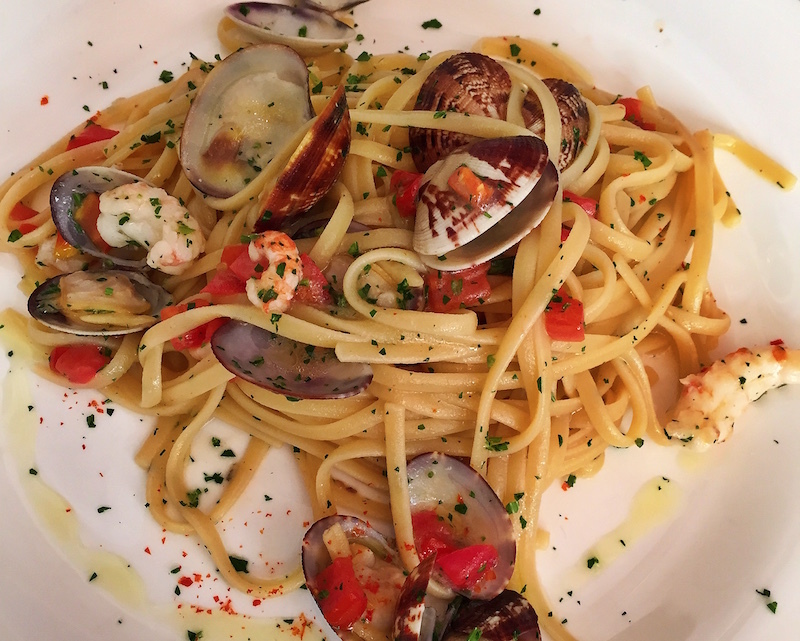 Handmade pasta with clams and tomato. 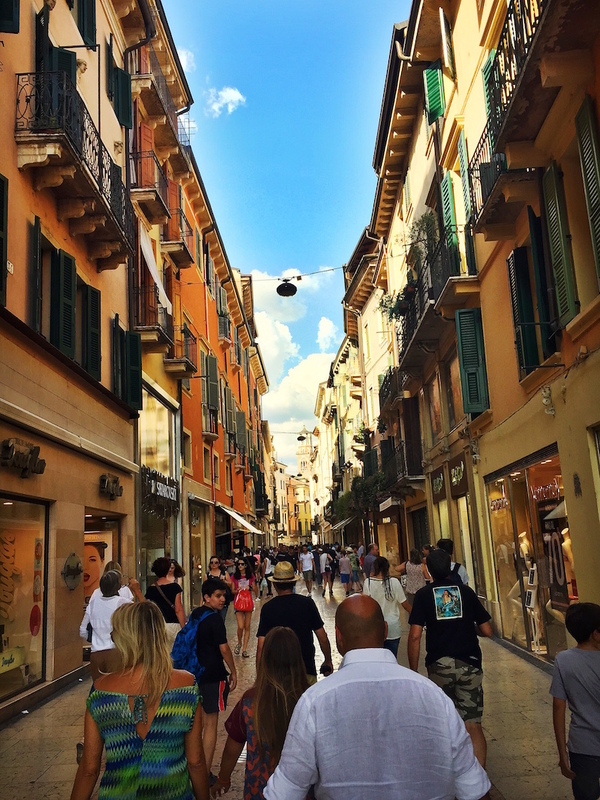 Walking towards the historical centre of Verona. 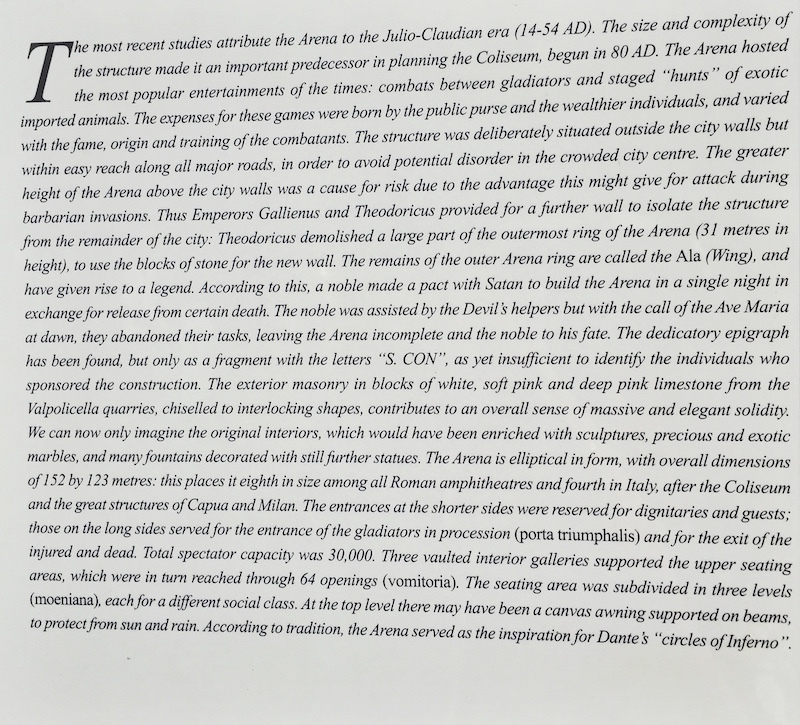 A brief history of the arena. 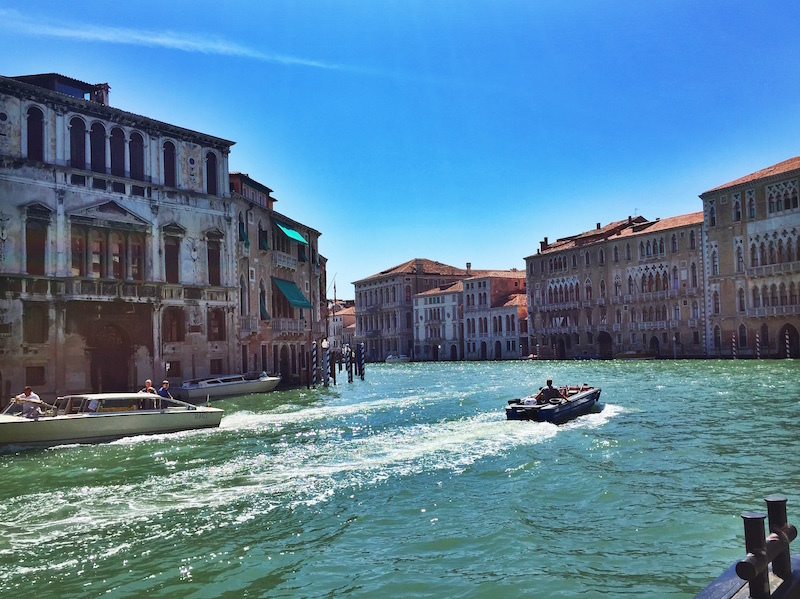 We arrived into Venice early evening, and dropped off our rental car before hopping on a water taxi towards our accommodation. The 4 of us had rented an Airbnb apartment with a canal view (!) 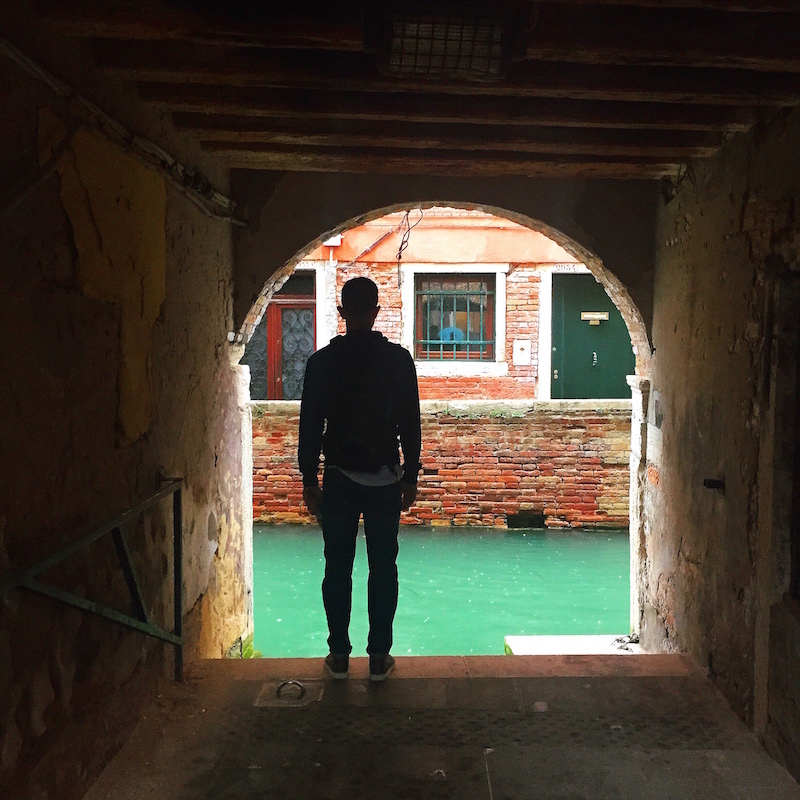 at the San Polo area which is pretty much smack in the middle of the historical centre of Venice. 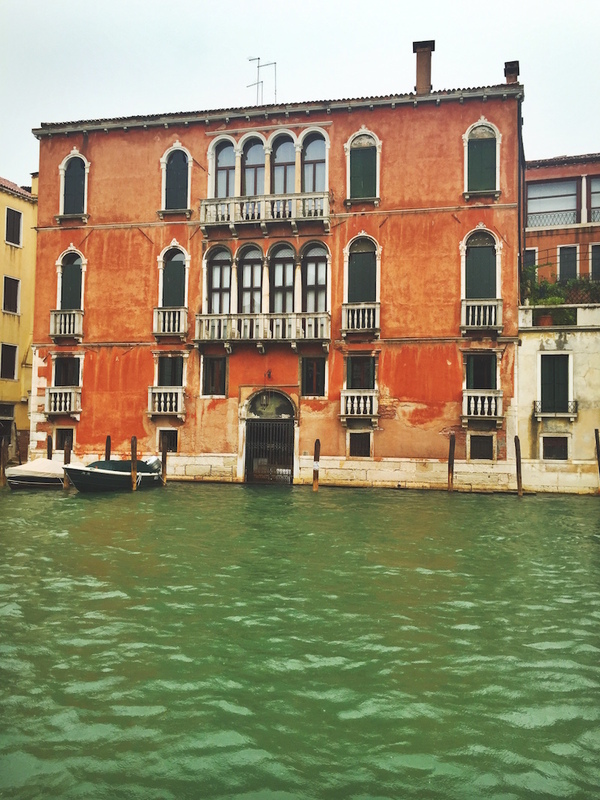 It was a small but cute old Venetian home turned into a newly refurbished 2 bedroom, 2 bathroom apartment for rent. The guy who checked us into the place worked for a professional agency that manages homes for various people, and it was from him we found out that most of the original Venetians had left, and been replaced by restaurateurs, shop owners, tour guides, managers and people working in the tourism sector. It was apparently far more economical for the locals to rent out their homes at hefty prices for the throngs of tourists arriving everyday and move away to other parts of the country where the cost of living was lower. 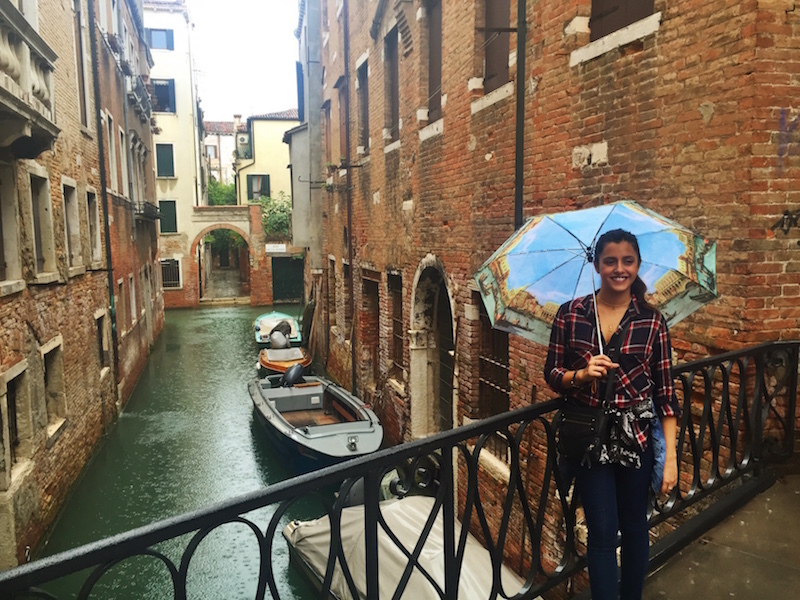 Not far from us was The Ca’ Foscari University of Venice which is housed in a Venetian Gothic castle and is home to about 20,000 students, the famed San Toma area, and across the Grand Canal- San Marco. Our location couldn’t have been more perfect, not to mention the feeling of coming home to a sparkly canal view every night is something immensely special. The view from our Airbnb at San Polo. Me and J posing in our window. The little bar we tucked into. We woke up to gloomy weather, but our moods couldn’t have been better. 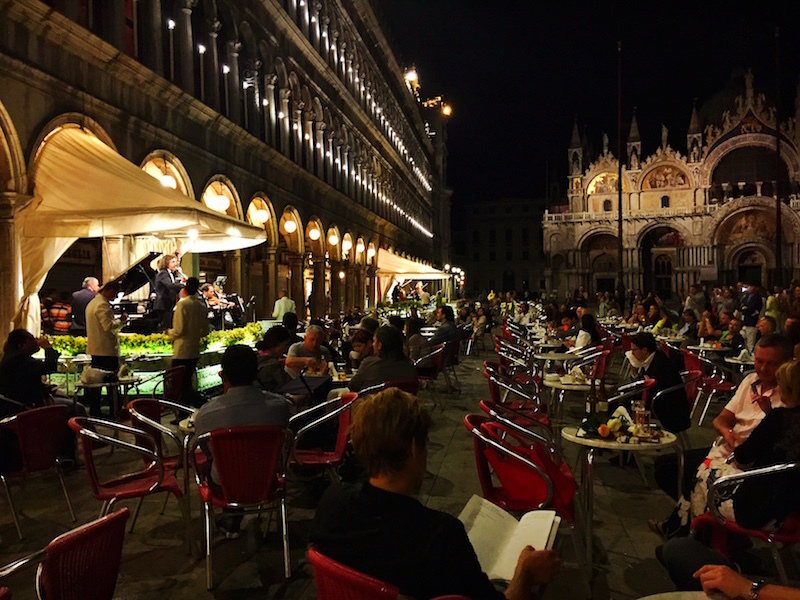 After a restful night of sleep we were ready to hit the town and see all that it has to offer, and we started with the famous St.Marks Square. 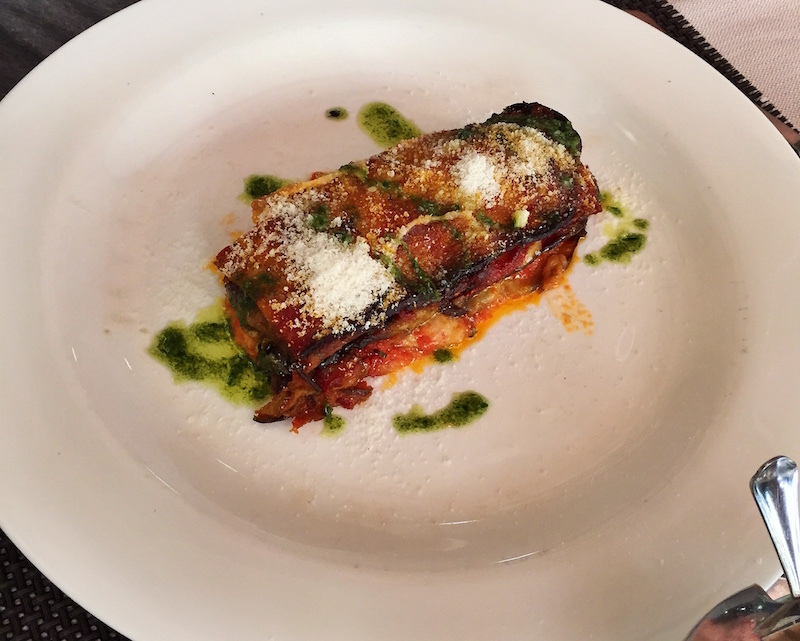 But first- lunch! 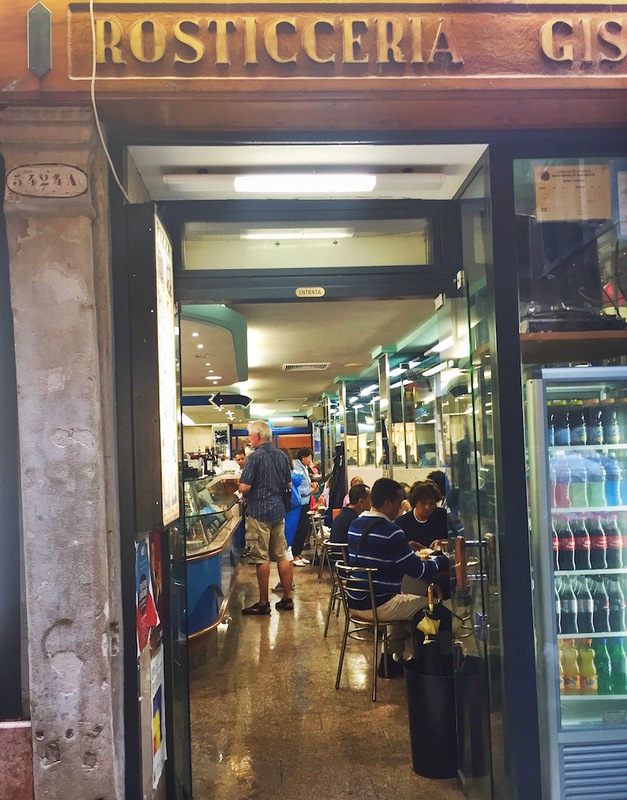 We’d gotten a recommendation from someone who visits Venice often to check out a local joint called Rosticceria Gilson near the Rialto bridge and San Marco district. This is a cafeteria which serves up quick food and drinks to locals downstairs, with a slightly fancier dining hall that charges more on the upper level. The prices are reasonable and the food delicious & quick, apparent from all the locals that flock here during meal hours. 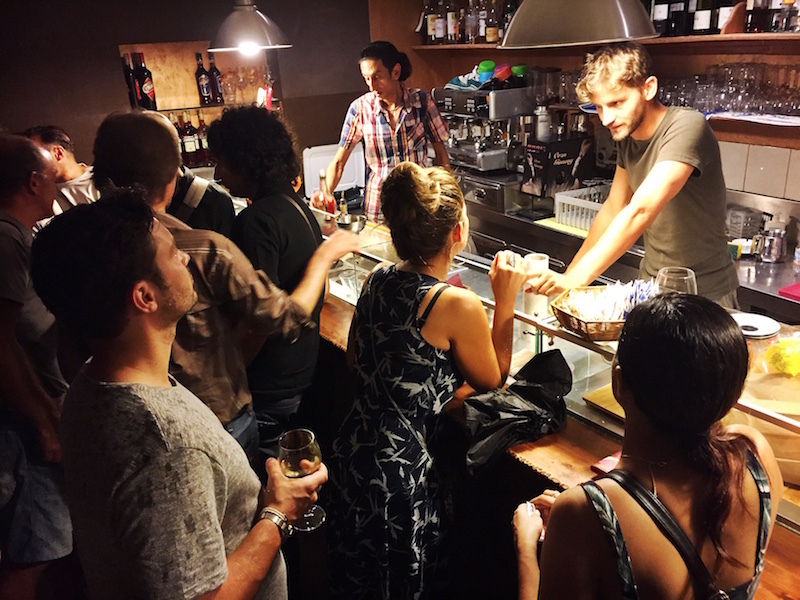 A rosticceria is basically the Italian version of fast food, albeit much tastier and healthier than its western counterparts. 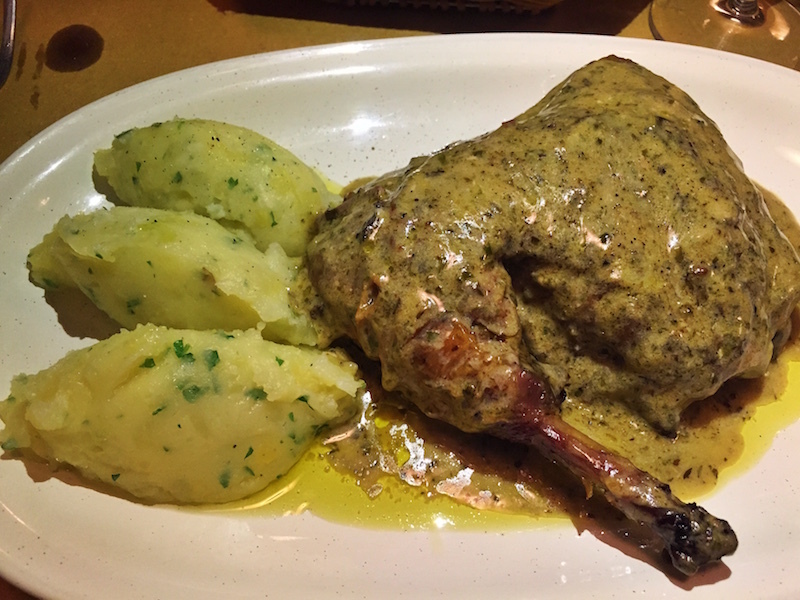 They traditionally serve pre-prepared dishes and roast chicken. 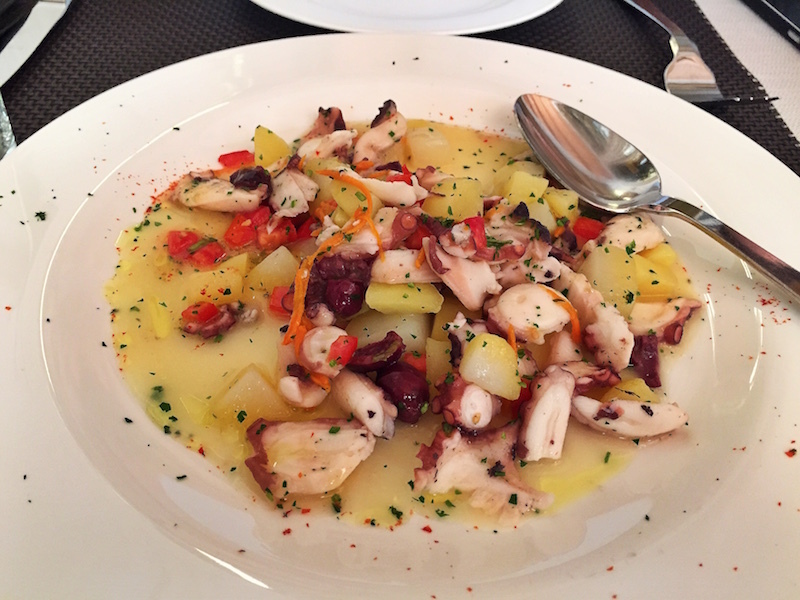 Its always a good idea to eat where the locals are eating if you cant seem to figure out what will be good or not. Bellies full of wine, seafood and pasta (and gelato, never forget gelato) we headed towards the impressive St.Marks Square or Piazza San Marco. 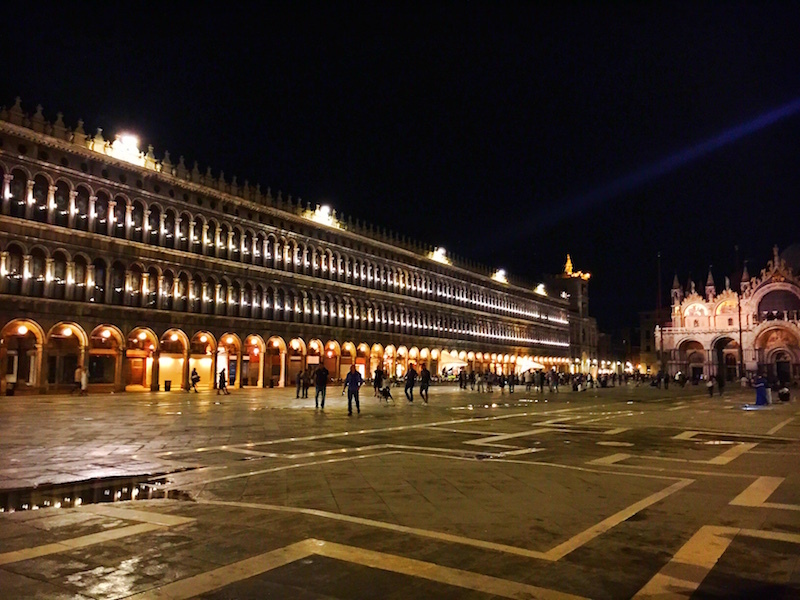 This is a huge and beautiful square with St.Marks Basilica on one end, connected to the Palazzo Patriarcale, the seat of the Patriarch of Venice. Again the architecture of this whole square and the structures upon it are very distinctive, you wont find a Byzantine and Gothic mixture like this in other parts of Italy. 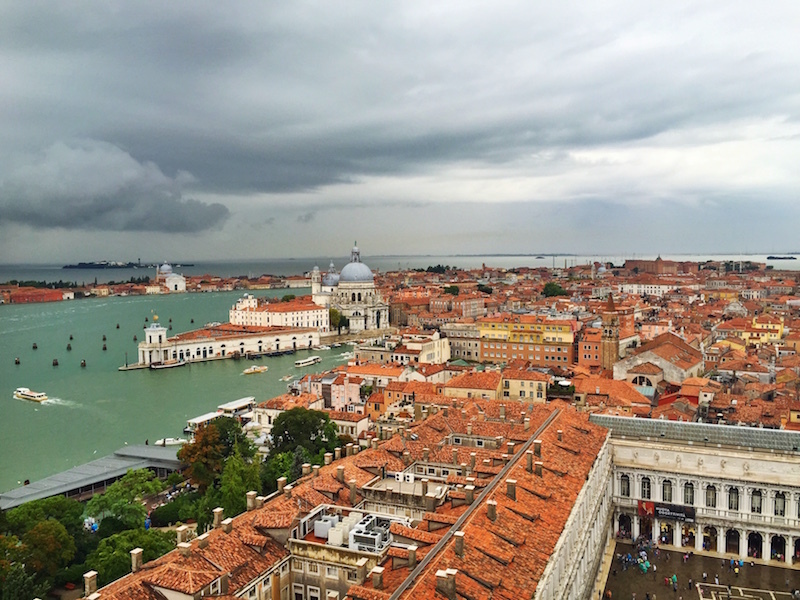 For unparalleled 360 degree views of Venice take the elevator to the top of the Clock Tower and hang out for a while. 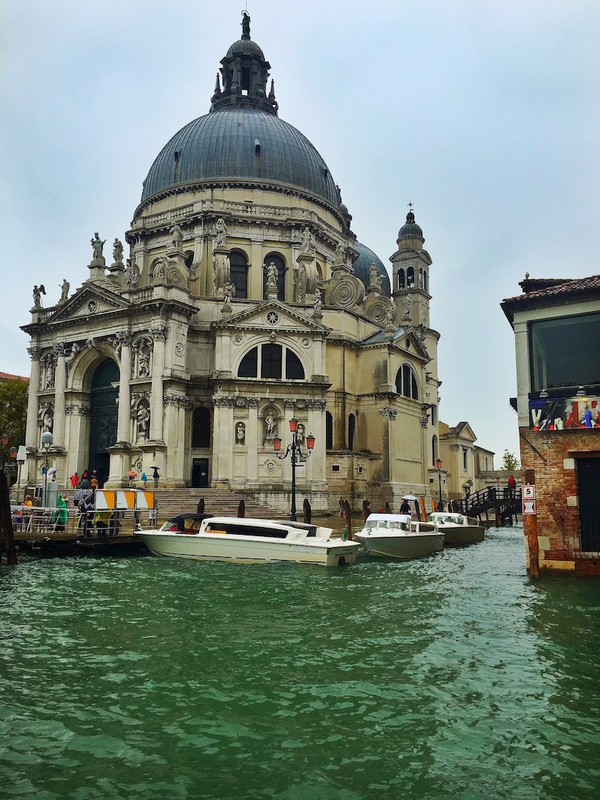 Directly across the Grand Canal sits the majestic Basilica di Santa Maria della Salute. Canal right outside our apartment. 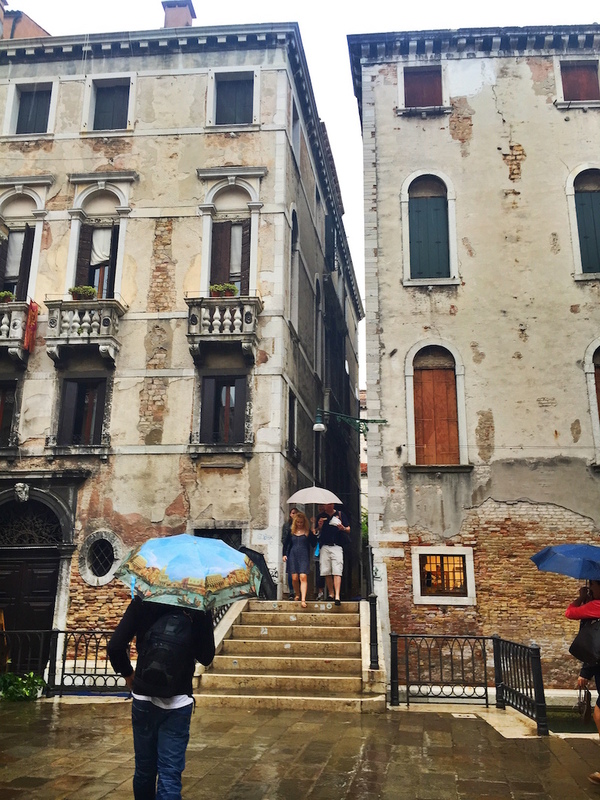 The rain doesn’t make Venice any less beautiful. 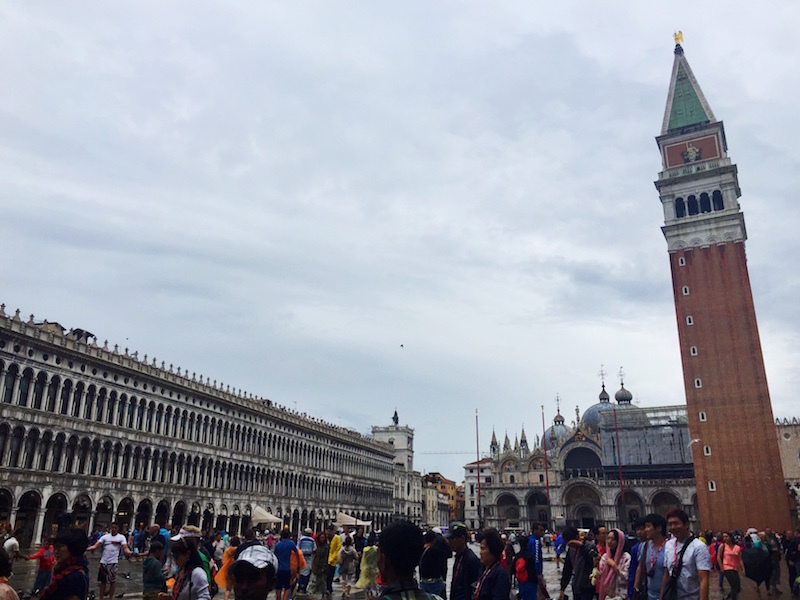 The very crowded but beautiful St.Marks square, with St.Marks Basilica at the far end. 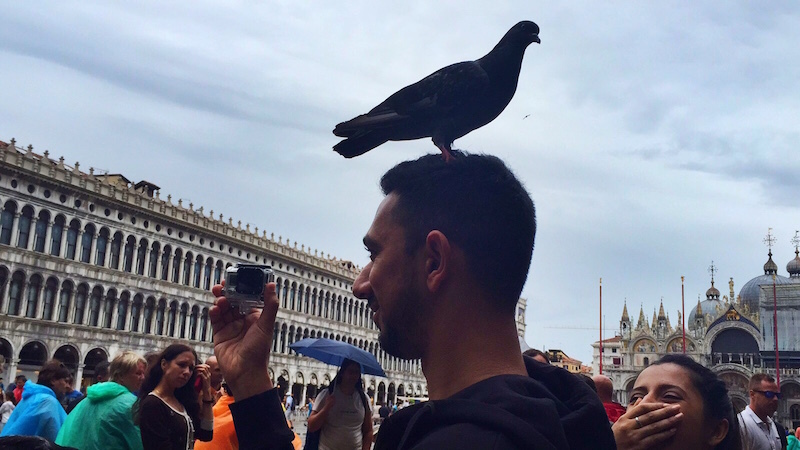 So many pigeons everywhere! And one on Josh’s head too, just chilling. 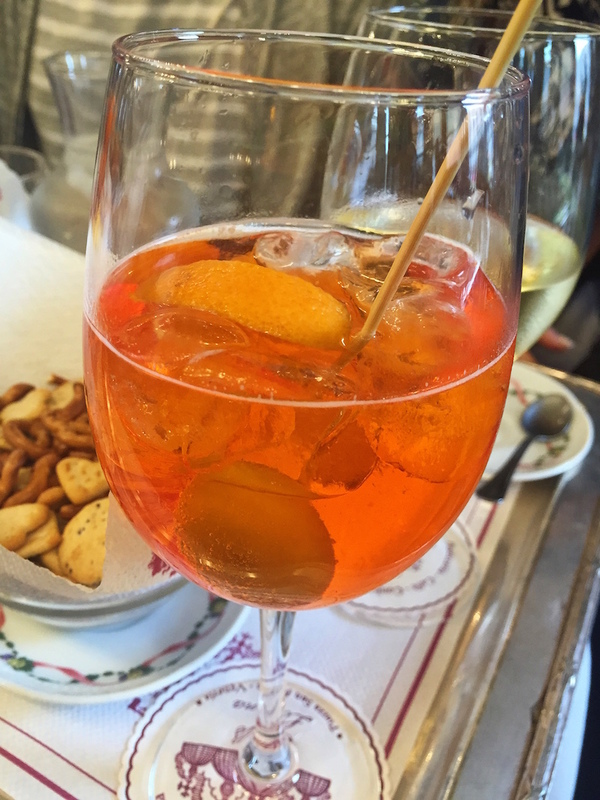 Always time for a spritz. The view from the top of the Clock Tower. 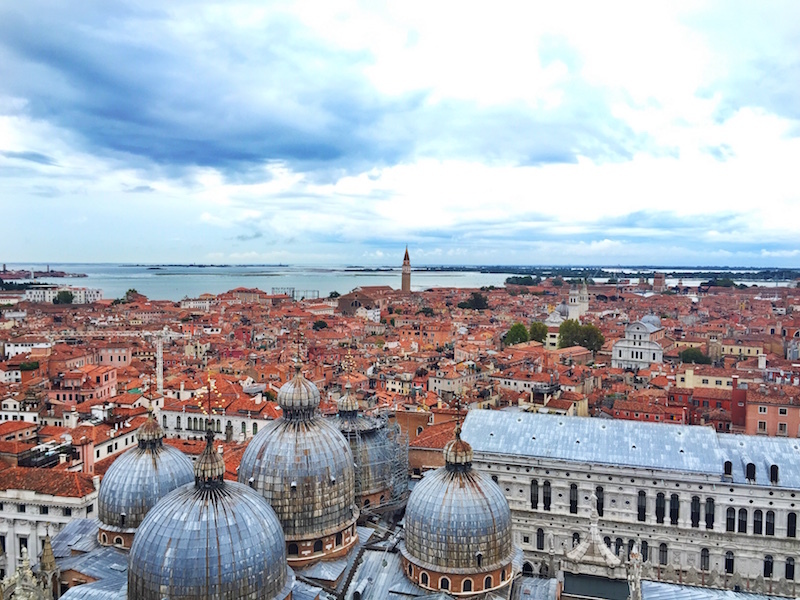 The domes of St.Marks Basilica from the sky. 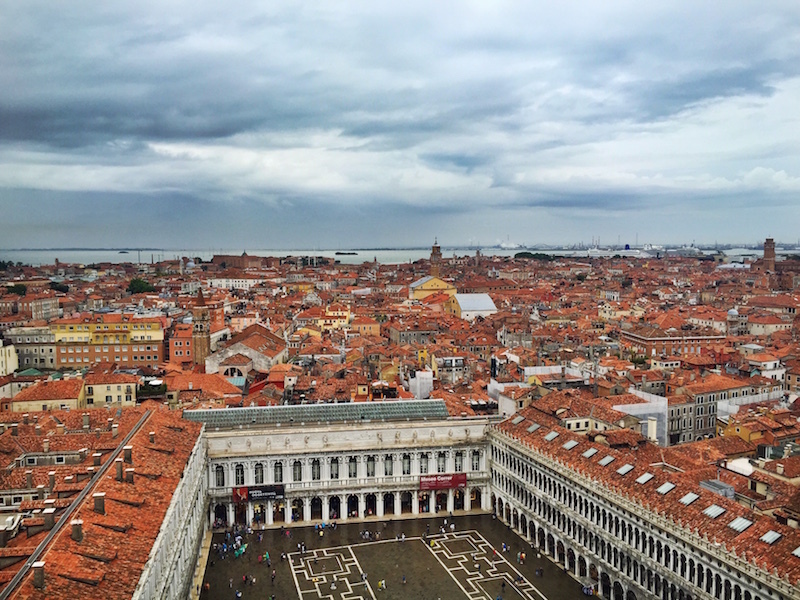 Piazza San Marco from up top. 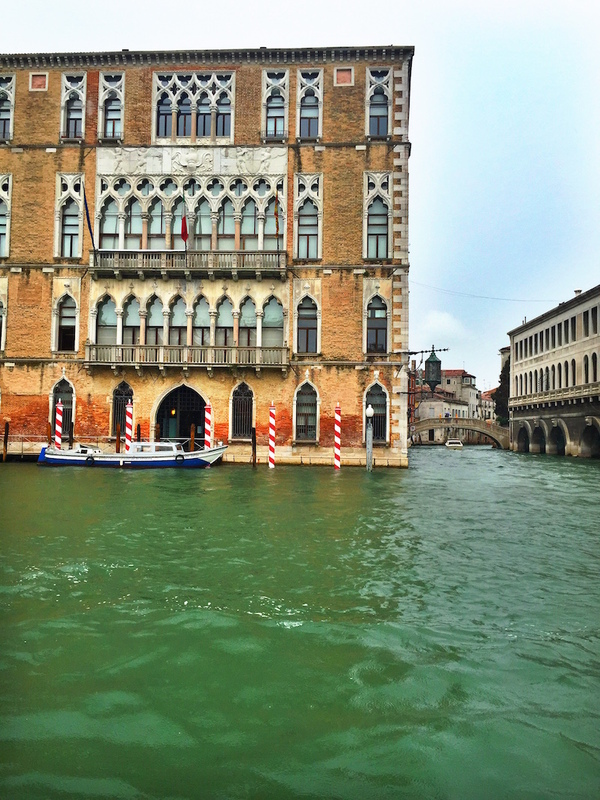 Grand Canal from the vaporetto. Lush garden upon the canal. 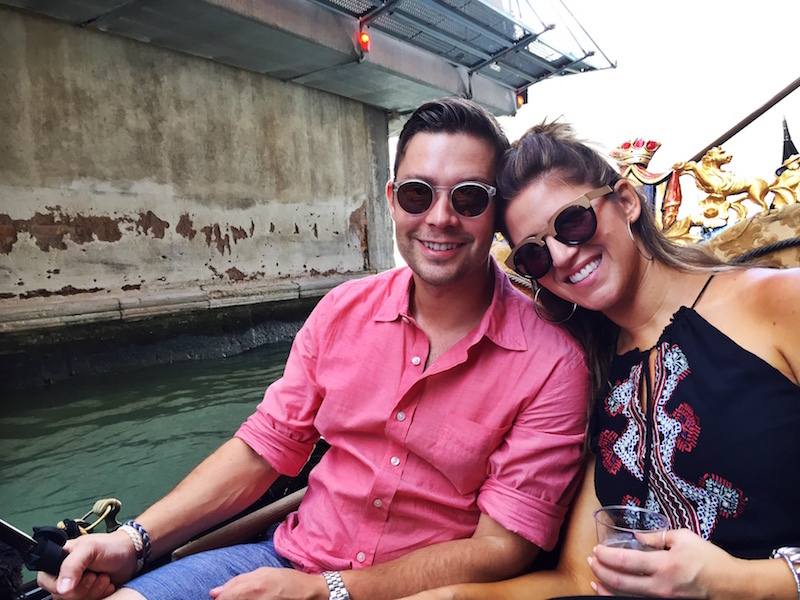 After taking a leisurely vaporetto ride down Grand Canal to check out the views, we went home to freshen up before dinner. 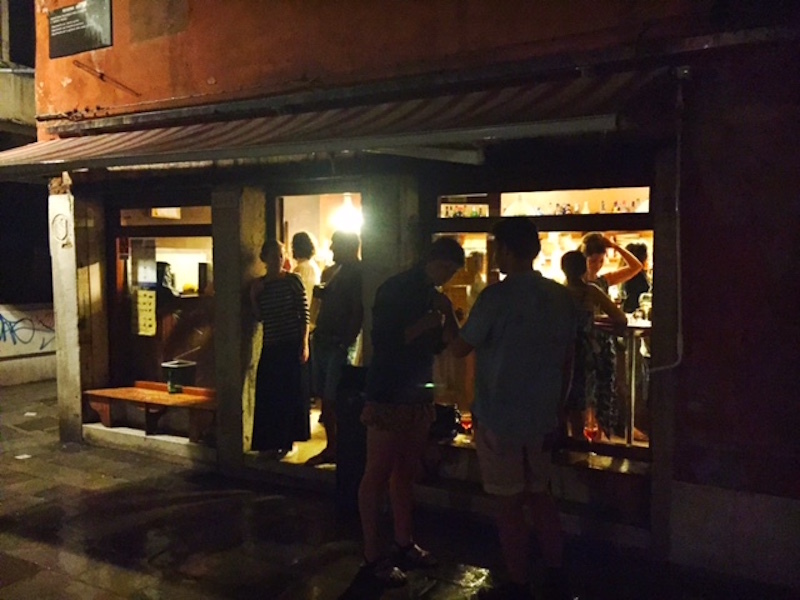 Another gem we discovered while walking around that night was La Bitta in the Accademia district. 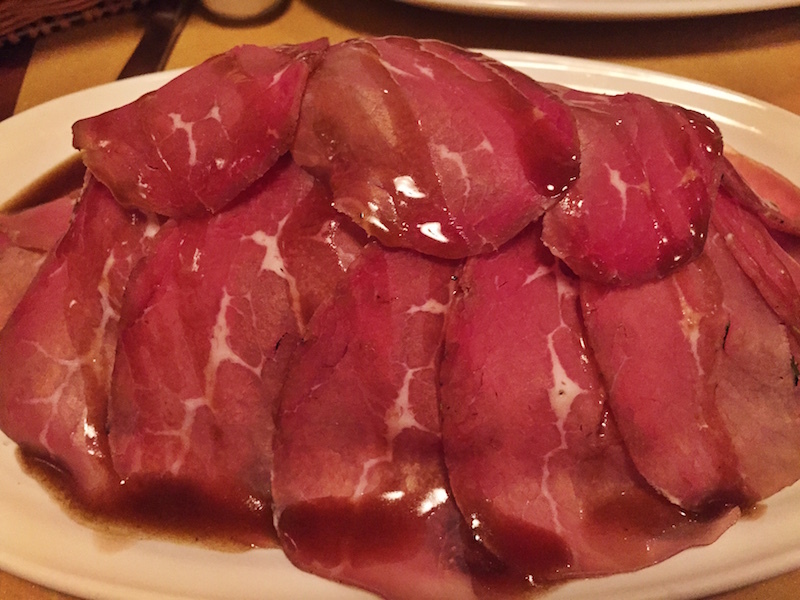 This meat only restaurant serves traditional, rustic, & comforting fare and was another place filled with Italians. We had an extremely satisfying meal of liver with onions, delicious pork, duck, artichokes and house wine. Sadly I didn’t take too many pictures, signs of a truly great meal. Stuffed and ready head out to see Venice in the dark, we meandered back towards St.Marks Square which is a spectacle of lights and intricacies by night. The square all lit up, the ground glimmering because of the rain, a cool breeze blowing, this is the spot to be after the sun sets. We bought some wine and plastic glasses (I know you’re like how much wine do these people drink, but it’s Italy. When in Rome I say) and watched a lovely group of live musicians perform some pieces in the open air. A very magical night. 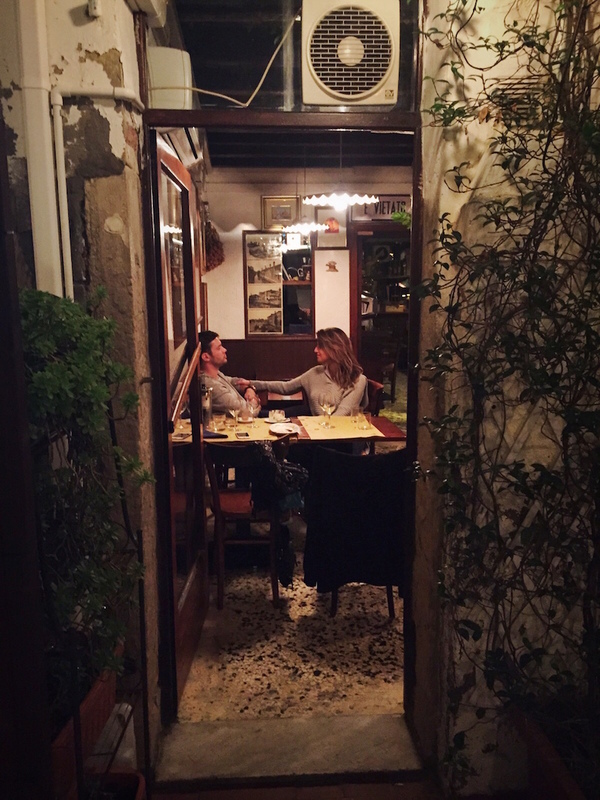 Stas & Jules having a cute little moment at La Bitta. 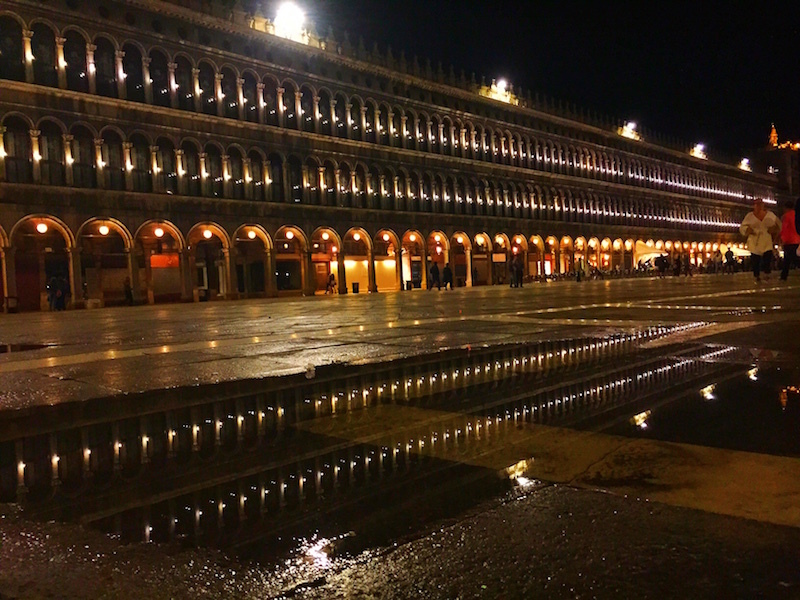 Piazza San Marco at night! This was our departure day, but our train to Florence was late afternoon so we decided to make most of the morning and go for a gondola ride. 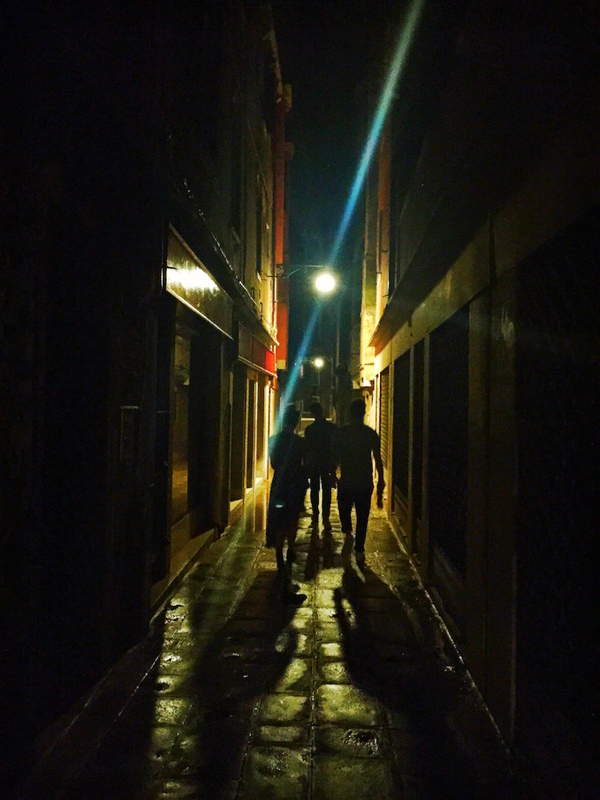 It sounds touristy and unnecessary but we didn’t want to leave before taking part in this very iconic Venetian pastime. 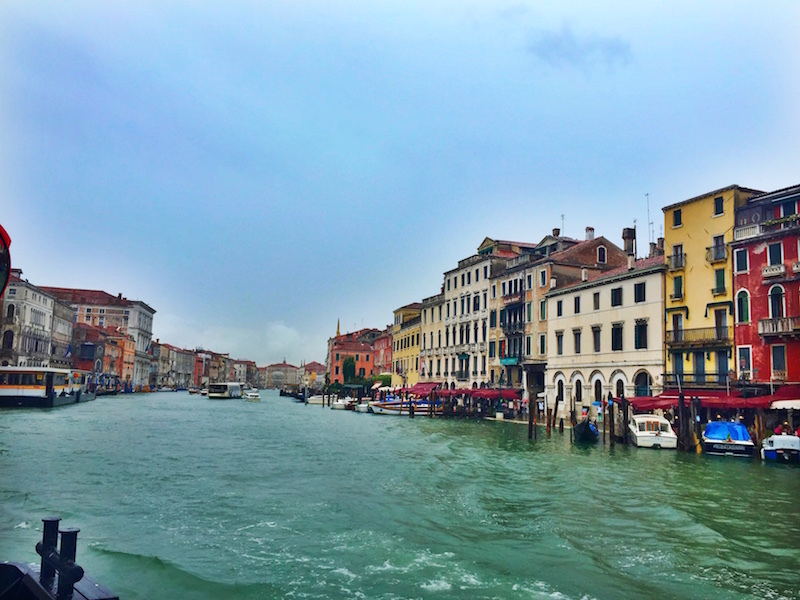 After grabbing some pizza slices for breakfast we headed towards Rialto bridge to find our ride. Although you are not allowed to eat or drink on the gondolas, we found a friendly gondolier you said as long as we were careful we could bring our bottles of prosecco onboard- perfect! 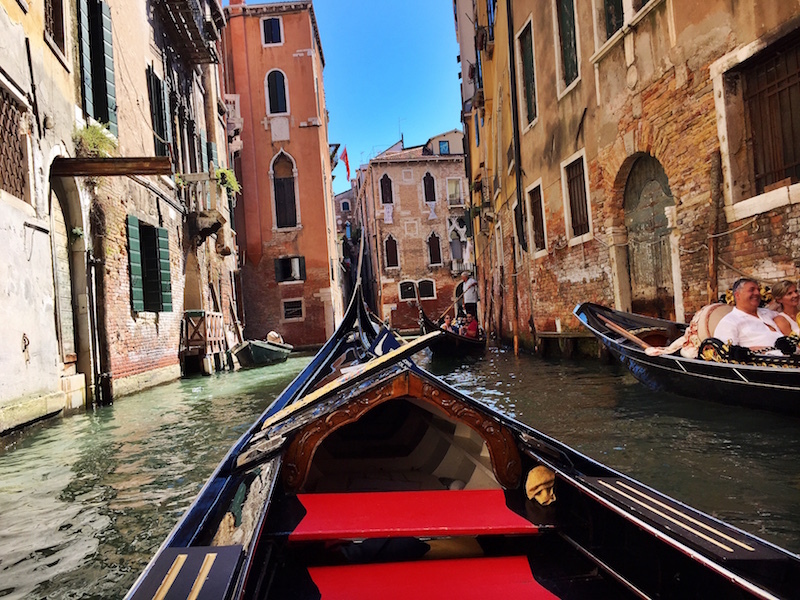 I would really urge everyone who visits to take a gondola ride, you get to see a different side of Venice from the picturesque narrow canals and the gondoliers have a lot of insight about the city if you ask. 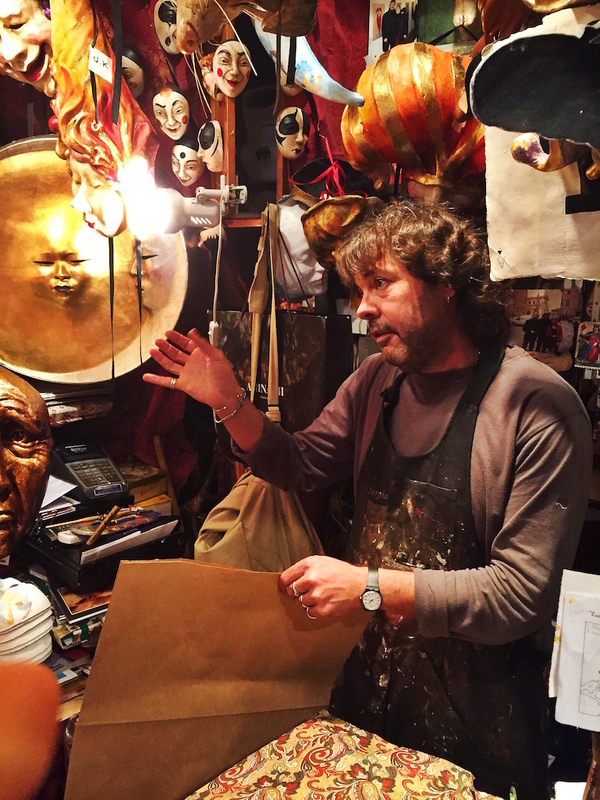 We also bought a couple of masks that Venice is so famous for from a shop named Mondonovo Maschere owned by humble artist Guerrino Lovato, who has made masks for many Hollywood films, although he won’t ever brag about it. The famous masks of Venice.